Mumbai 12 August 2016: Are you looking for an answer to this question How to get glowing skin? How to have flawless skin? Then this post has the answer for you. Store bought beauty creams give a temporary glow to your skin. Why spend so much money on beauty creams and treatments that give you a temporary fix when you can get permanently fair and glowing skin the natural way by having the right food and using natural beauty tips. The main obstacle which comes between you and glowing skin are the various skin problems. So whether it's acne, premature aging, reducing wrinkles or some other skin condition, the right diet takes care of it. Every skin has a problem. But there is always a way for it when you have a will to do so you must have a will. Today we are gonna see which natural healthy foods (diet) give us a glowing skin, these food tips are good for your glowing skin and to keep your skin look natural with this food beauty tips. Tomatoes are rich in a phytochemical known as Lycopene which gives tomatoes its unique red color. Lycopene helps boosting collagen strength which makes our skin elastic and a youthful. It also helps in fighting off the oxidizing effect of UV rays by destroying free radicals which cause premature aging of the skin. Cooking tomatoes increases their lycopene levels. Carrots contain high amounts of beta-carotene and other health-benefiting compounds such as vitamin A, minerals and antioxidants. 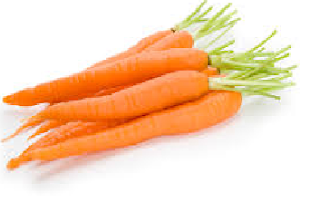 Eating carrots keeps your skin healthy and vibrant as they are loaded with Vitamin C and antioxidants. Vitamin C aids the collagen production in the body and gives our skin a youthful glow. Antioxidants present in carrot can treat skin conditions like pimples and acne, rashes, dermatitis and other skin problems. Sweet potatoes are rich in beta carotenes. 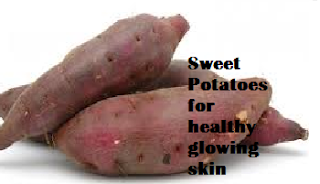 The beta carotene in sweet potatoes helps fight rough, scaly skin during winters. It also protects your skin against UV damage. When you cook the sweet potatoes the beta carotenes level increases. Turmeric is used in medicine as a pain reliever. Turmeric is also great for your skin as it is rich in an antioxidant known as curcumin. Curcumin has been one of the most effective antiinflammatory and free radical fighting compound. Turmeric can also be used to lighten dark pigmentation blotches or scars caused by aging, hormone imbalance, or sun exposure by inhibiting an enzyme in the skin that produces pigment. You can make an homemade natural facial mask just by combining turmeric with coconut oil or milk to give you healthy glowing skin. Salmon is a rich source of omega 3 fatty acids which helps in keeping the skin moisturized and hydrated. Salmon also contains dimethylaminoethanol (DMAE). It promotes healthy skin as it protects the integrity of cell membranes and avoids premature aging. DMAE and B vitamins work together to increase levels of acetylcholine, which is essential for proper muscle functioning to keep your face looking young, toned and firm. Papaya is a tropical fruit which contains a lot of active enzymes which are healthy for our body. 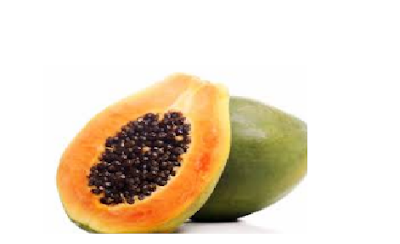 Chymopapain is an enzyme found in papaya which helps in reducing inflammation. Papainbis an enzyme found in high quantity in papaya which dissolves fats which are blocking the pores and cleanses the skin. It also works in getting rid of blemishes and acne from the skin when applied topically. Yellow peppers are rich in vitamin C which is essential for producing collagen. So make sure to include yellow peppers in your diet to get that much needed dose of vitamin C. A study has proven that The more yellow and green vegetables you eat lesser are your chances of developing wrinkles. Safflower oil is rich in omega 6 fatty acids. Just like omega 3, omega 6 are also essential fatty acids which our body needs and its obtained from foods as our body doesn't produce any itself. Omega 6 fatty acids found in safflower oil work as an ultimate moisturizer for people who suffer from dry, flaky, or itchy skin. Omega 6 fats keep cell walls supple, allowing water to better penetrate the epidermis. Eggs are a great addition to your diet for healthy glowing skin,, and their vitamin, mineral and protein content plays several roles in skin health.Eggs contain amino acids that help in generation of new skin cells. 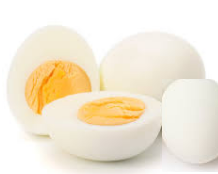 Eggs contain lutein and zeaxanthin which are antioxidants which provide protection against the UV damage that leads to lines, brown spots, and cancer. Research has shown that eating eggs helps protect skin from acne, rashes, and even dryness. Dehydration causes skin problems like puffy, dark circles under your the eyes. So it’s very important for you to keep your body hydrated to have healthy glowing skin. Start freshen up your body with these detox waters. Cut some citrus fruits with the rinds, soak it in a pitcher of ice water, and drink it. The vitamin C in the citrus balances levels of electrolytes and removes excess water weight while the d-limonene in the rinds acts as a powerful anti-inflammatory compound which helps the liver flush toxins from the body. While using avocado directly on the face is a popular natural beauty treatment, many people have found that just eating avocado regularly can do wonders for their skin. Avocados are rich in monounsaturated fatty acids, which have been proven to hydrate and protect the skin by lowering the risk of premature aging caused by ultraviolet radiations. When you eat avocados your body gets a lot of skin protecting antioxidants, like beta-carotene, vitamin C and vitamin E, which help to prevent wrinkles and slow down the visible signs of aging. Spinach is a very rich source of iron, folate, chlorophyll, Vitamin E, magnesium, Vitamin A, fiber, plant protein, and Vitamin C. Vitamin C in spinach works to repair skin cells and keep your skin looking beautiful. You need vitamin C to make collagen, a protein used to manufacture new skin cells. 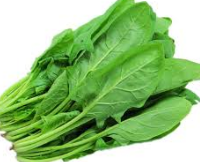 Vitamin K which is naturally found in spinach is needed for blood clotting and to strengthen blood vessel walls, which helps to get rid of dark circles. 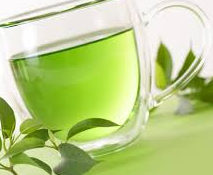 Green tea contains catechins, an antioxidant with proven anti-inflammatory and anticancer properties. Drinking 2 cups a day of green tea not only helps prevent skin cancer but also helps in reversing the effects of sun damage by neutralizing the changes that appear in sun-exposed skin. To increase your beauty, you can use green tea in your beauty masks. Also, drink a few cups of green tea daily. 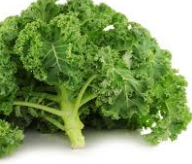 Kale is loaded with vitamins A, C, E, and vitamin K which are needed by our body for keeping our skin healthy and young. Vitamin K helps with blood clotting and faster healing when eaten. And when applied topically, it can reduces the visibility of bruises, scars, stretch marks, and spider veins. Blueberries are rich in fiber as well as vitamins A and C. Blueberries are loaded with antioxidants which help your body fight cell-damaging, skin-aging free radicals. Blueberries have phytonutrients called anthocyanins which strengthen collagen fibres. 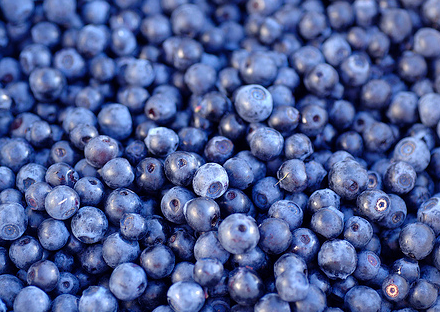 Blueberries helps fight signs of aging and prevents and cures acne. Coconut water is a good source of potassium and electrolytes which replenishes and rehydrates your skin, making it softer and younger looking. Coconut oil is loaded with good fats that give us energy, able to fight microbes in the body and is excellent for cooking. Coconut oil contains a potent antimicrobial, caprylic acid, which can help improve gut health by destroying bad bacteria and candida. Oats helps in brightening your skins complexion. Oats help in firming the skin tissues which protects our skin from premature aging. 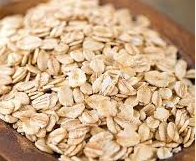 Oats are race CH in silicon which helps skin retain elasticity and slowing the signs of aging. Almonds have a high amount of nutrients in them. It is the most nourishing nut available in the market and contains a wide range of vital elements like soluble and insoluble fiber, protein, omega-3 fatty acid, omega-6 fatty acid, vitamin E, potassium, zinc, calcium, magnesium, and more. Almonds are rich sources of vitamin E. Vitamin E helps repair scarred cells and protects against sun damage. 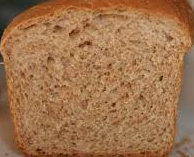 Selenium is an antioxidant found in whole wheat bread. Selenium helps protect your skin against environmental damage and promotes elasticity and general skin health. Researchers have found that nourishing your body with wheat and other whole grains can reduce acne. 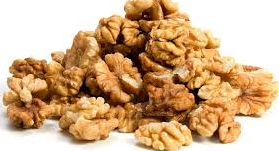 Walnuts are rich source of polyunsaturated fatty acids which may be able to lower the risk of skin cancer. Walnuts are powerhouses of omega-3 fatty acids that helps lock-in moisture and nutrients in the skin, making it plump and glowing. Healthy fats found in walnuts reduces the skin inflammation and protects the skin against harmful UV rays. Vitamin E is also found in walnuts, this vitamins is widely known as a powerful antioxidant that makes the skin smooth and glowing, and accelerate healing. Flax seeds help in reducing inflammation of the skin and also provides hydration to your skin. Flax seeds being rich in omega-3 fatty acids help in erasing spots and fine lines. Dark chocolate is high in flavanoids, an antioxidant compound typically found in dark chocolate. It protects your skin, primarily against sunburn and UV damage. Research has shown that women who consumed dark chocolate had smoother skin and were more protected from the effects of UV rays. Dark chocolate is also rich in probiotics which help in reducing inflammation. Oysters have high levels of Zinc. Your body might need a little of it each day, but zinc sure plays an important role in cell functioning. 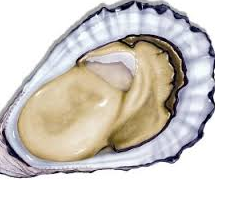 Oysters rely on zinc to make the proteins that repair damaged skin tissues and regenerate new ones. Zinc also works like an antioxidant by lessening the formation of cell-damaging free radicals and protects the cells that make collagen.